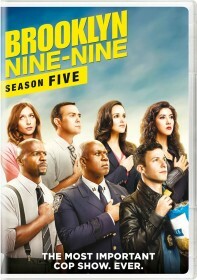 FOX has released the press release for the next episode of Brooklyn Nine-Nine, "AC/DC", airing Sunday, April 26. After Jake injures himself on a case, Terry forces him take time off and rest -- something Jake doesn't know how to do. Across town, Holt and Rosa try to avoid intimate conversation during a double-date with their significant others in the all-new "AC/DC" episode of BROOKLYN NINE-NINE airing Sunday, April 26 (8:30-9:00 PM ET/PT) on FOX. When Jake injures himself in pursuit of a suspect, Terry forces him to take time off work - but Jake can't leave the case alone. Meanwhile, Captain Holt and Rosa struggle to keep things impersonal when they have dinner with Kevin and Marcus.